Midwest Auto Center (MAC) offers dependable automotive repair services and quality replacement parts at competitive prices. 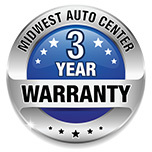 We guarantee all repairs and parts we replace with a 36-month/36,000-mile warranty. If you have any problem with your car, truck or SUV, we can fix it right the first time -- usually the same day you drop your vehicle off or while you wait. Car won't start or making a funny noise? Did the "Check Engine" light come on? Our technicians have the knowledge and experience to fix any type of gas engine problem, including timing belt replacement, oil leaks, coolant system problems and computer diagnostic results. MAC technicians regularly service diesel engines (Cummins, Power Stroke, Duramax) along with general truck repair. Our advanced computer diagnostic system can quickly uncover problems. Engines are maintained according to each manufacturer's recommendations. Regular check-ups and maintenance are the best way to keep your vehicle running. MAC offers oil changes, tune-ups, transmission services, fuel system flushes, engine coolant flushes and fuel filter replacement. Electrical problems can be as simple as a headlight replacement or a more complicated wiring repair. MAC technician's use specialized diagnostic equipment to access your vehicle’s data and pinpoint the cause of any electrical problems. This includes SRS airbag issues. 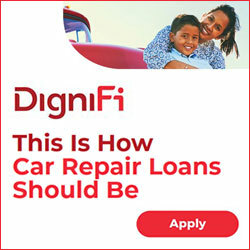 Has your car stopped giving you that smooth, even and stable ride? We can diagnose steering and suspension issues and fix problems with ball joints, tie rod ends, sway bar links, control arm bushings, shocks, struts and springs using high quality replacement parts. If your air conditioner stopped working, it usually means it's leaking — a problem that can damage your evaporator and compressor. Our A/C specialists can detect leaks, recharge systems and fix evaporators and compressors. We can even retrofit vehicles to R-134a. Are your brakes squeaking or vibrating? Did you ABS light come on? Our mechanics can fix and replace disk brakes, drum brakes, parking brakes — the entire braking system. We use award-winning Wagner brake pads and parts for quiet, high quality performance. MAC offers a broad range of new tires for all makes and models of cars and trucks. Brands include Michelin, Cooper, Toyo, Goodyear, Yokohama and BF Goodrich, just to name a few. Services include computer balancing, tire rotation and flat repair.